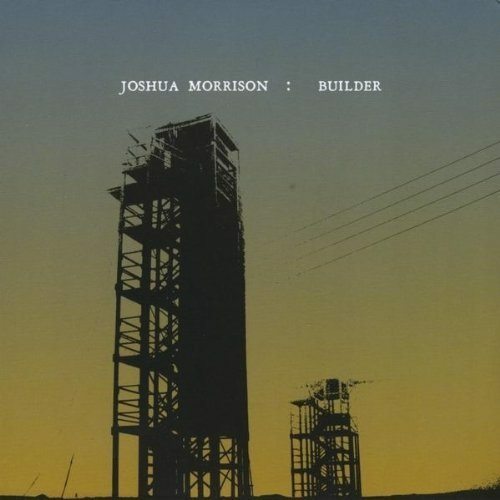 For the past few days I’ve been enjoying Joshua Morrison’s long-awaited EP, Builder. Joshua Morrison sings of home. In fact, that was the title of his first critically acclaimed debut record, released in 2007 between tours of duty in Iraq. It’s been in constant rotation in my listening for the past four years and I’m sure that won’t change anytime soon. It’s a fantastic album. When Morrison, a rather burly man with a surprisingly delicate voice, sings with longing of home you know its no soft-minded notion. This isn’t some emo-esque, first-world issues type of album. It’s real, from the heart music. On Home, Morrison sang with love for a home he might never see again, one that he dreamed of during dusty desert nights. It’s heart breaking really. It’s haunting, it’s emotionally charged, it’s smartly crafted and it’s gorgeously written. Four years later and after a second tour of duty, Morrison is home for good. Yet his follow-up EP, Builder is full of the same listless longing for the safety and comfort of home. A home that, despite having returned to, is still metaphorically thousands of miles away. Again, it’s a horrifying look into the life of a soldier. You never really get to return home. At least not to the innocent home you left. Despite being only six songs, there are a few contenders for Builder’s quintessential track. Yes, it is that good. That said, its “Mute” that hits the hardest. Much like “Home,” the beloved title track of his debut, “Mute” speaks in a vocabulary and of an experience that Morrison shares with soldiers and veterans across the world. I try my best to hold my tongue when they ask me what they think. Should we stay the course or cut and run? It doesn’t matter what I believe. Cause you and I know the truth, that you were meant for more than missing. The bluest eyes I’ve ever known, I’m going home with so much less. You and I know that you deserve so much more than this. “Mute” makes it clear, that while Morrison and his fellow soldiers who return home alive are the lucky ones, their fate is anything but. Of course, people don’t listen to albums or songs just because they have something important to say, and luckily for Morrison Builder is full of songs that stick with you for more than their lyrical genious. Morrison plays with a warm lap steel guitar on some songs and aloof electronic riffs on others. Yet, as with Home, at the center of Builder is Morrison’s delicate and smooth vocals that exude just the slightest hints of roughness. This weekend we received news of the greatest single loss of U.S. soldiers since the start of the Afganistan war. As we continue to trod through our wars we’ve grown accustomed to separating ourselves from the reality of the horrors our brothers, sisters, friends and neighbors are enduring – both in battle and with the demons that haunt them after. It’s old news. All it takes is one listen to Builder and you’re left keeled over. It hit like a sharp punch to the gut. We aren’t just losing bodies in Iraq and Afganistan. We aren’t separated from the struggle. We are losing real people. People like Joshua Morrison. The world is a better place with Builder, but I can’t help but wonder what other magnificent undertakings we are missing due to our losses at war.